And then there were five. Last year Deep Roots felt beholden to name not one, not two but three albums to share Album of the Year honors, because they were all extraordinary albums but all very different. The same could be said of this year’s selections, except there are two more honorees. There are five because all of these are, in their own way, statements from artist working on a higher plane. 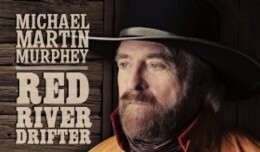 In the case of Michael Martin Murphey, Red River Drifter is this great songwriter’s serious probing the topic that has bedeviled, fascinated and inspired songwriters since song has existed. Here the cowboy songs are MIA, the bluegrass is toned down to a more traditional country backdrop, and love is in the air. No, Murph’s not revisiting his singing idol ‘80s incarnation but as a writer he is pondering love on this album—romantic love (or the dwindling and rekindling thereof, as on the aforementioned album opener), love between friends (even to the point of enduring beyond the grave) and, of course, love of God’s green earth (and as we’ve seen, how these aspects of love are linked). Herein is found some of the most exquisite melodies he’s ever crafted; some of the finest singing of his later years (age has given his tenor an appealing, lived-in huskiness that bespeaks a man of experience in the issues he addresses and the lifestyle he extols); unquestionably some of the most complex lyrics he’s ever composed, almost all of the songs having multiple layers of meaning; and tight, focused, emotionally resonant instrumental work. 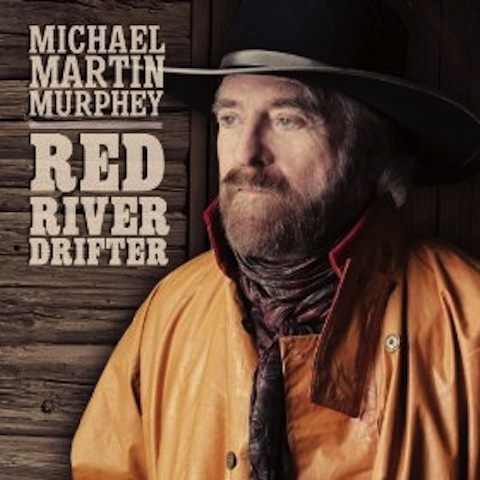 Murph, who’s made a lot incredible albums—he’s now up to 45 long players in his catalogue, and you’d want to hear most of them—has rarely been better from first cut to last as he is on Red River Drifter. In their own way Habib Koité and Eric Bibb are ruminating on that crazy little thing called love on their Brothers in Bamako, quite possibly the year’s most unexpected gem. Theirs is a transatlantic meeting of souls but otherwise any attempt to describe it is akin to trying to grab mercury. It’s easy enough to say this week’s Album of the Week is magical, soulful, moving, riveting, beautiful, transcendent. Its DNA is in the West African tradition of which Koité is something of an international ambassador but it’s also in the roots music Bibb–son of a musician father whose friends included Pete Seeger, Odetta and Paul Robeson (Bibb is Robeson’s godson)–was immersed in during his formative years in New York City, where he came of age just in time to experience the folk revival of the ‘50s and ‘60s in full flower. Born in Thiès, Senegal in 1958 and now based in Mali, Koité is a modern-day griot, a repository of West African oral tradition and values. Driving the blues train to Album of the Year honors are two fellows who specialize in the electric variety: Mike Zito and Tim “Too Slim” Langford. Simply pput, Zito’s gripping Gone to Texas proves what his recent albums have suggested: he’s beaten the savage demons that bedeviled him for so long and threatened to capsize his career. Gone to Texas’s manifold strengths elevate it to a higher plane of spiritual quest. Its close-to-the-bone feel; his band The Wheel’s empathetic support; Zito’s effortless command of the blues and blues-rock idioms he employs; the conviction in his rough-hewn vocals; the frank, unvarnished portrait he paints of himself in his weakest hours–when paranoia creeps in, death wishes abound and a general feeling of inertia if not outright uselessness takes hold of him are the components of a masterwork. In Slim’s case, the good news is that this most merciless of electric blues guitarists and rawest of blues singers seems to have been living on a ragged edge, which translates to some of the toughest music he and the Taildraggers have ever made. On Blue Heart Slim wends his way through noir-ish tales of bad romance, bad libations and bad vibes. Though he sounds like nothing so much as a tortured soul, he’s a tortured soul fighting to rise above his self-inflicted misfortunes. Give him points for his honesty—or his characters’ honesty—and never forget that Slim’s always had a heart. This is all quintessential Murph turf, as he’s staked out on 14 albums (excluding 2001’s Playing Favorites, re-recordings of a dozen of his earlier classics and two live albums) he’s released since 1990, when he walked away from a wildly successful run as a mainstream country balladeer and followed his heart’s desire to fully embrace the cowboy lifestyle—from being a real, socially and environmentally conscious rancher to dressing the part to doing what he was told was impossible, i.e., writing hit cowboy songs in the late 20th Century. He took a bit of a turn off that beaten path come 2009, when he cut Buckaroo Blue Grass, which was, actually, bluegrass-centric treatments of some of his old, beloved songs (“Carolina In the Pines,” for one, “Cherokee Fiddle” for another) as well as a couple of new originals with a band that included A-team bluegrassers such as Rob Ickes, Charlie Cushman, Ronnie McCoury, Sam Bush, Rhonda Vincent and Andy Leftwich, among others. Thus the pattern he followed on Lone Cowboy (2010), Buckaroo Blue Grass II (2010) and Tall Grass & Cool Water (2011), outstanding efforts all. On Red River Drifter, the cowboy songs are MIA, the bluegrass is toned down to a more traditional country backdrop, and love is in the air. No, Murph’s not revisiting his singing idol ‘80s incarnation but as a writer he is pondering love on this album—romantic love (or the dwindling and rekindling thereof, as on the aforementioned album opener), love between friends (even to the point of enduring beyond the grave) and, of course, love of God’s green earth (and as we’ve seen, how these aspects of love are linked). Herein is found some of the most exquisite melodies he’s ever crafted; some of the finest singing of his later years (age has given his tenor an appealing, lived-in huskiness that bespeaks a man of experience in the issues he addresses and the lifestyle he extols); unquestionably some of the most complex lyrics he’s ever composed, almost all of the songs having multiple layers of meaning; and tight, focused, emotionally resonant instrumental work. 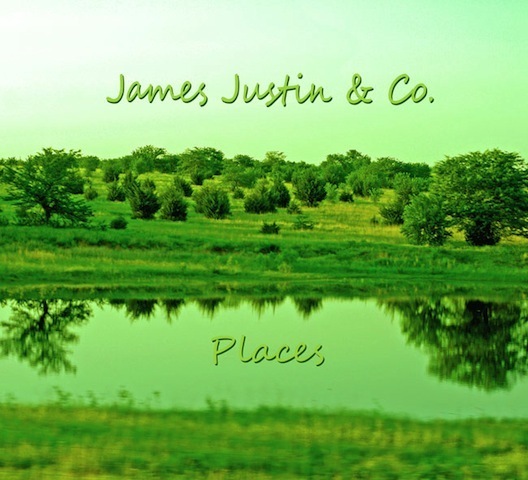 PLACES, James Justin & Co. (James Justin & Co.)— Maybe someone close to James Justin Burke’s music saw this coming, this album titled Places, but not yours truly, not to this degree. After two albums very much rooted in philosophical musings on the nuances of personal relationships, especially those of a romantic nature, Burke, accompanied by his trusted musical mates Bailey Horsley (banjo) and Tom Propst (bass), with whom he has long performed as James Justin & Co., plus a smidgen of supporting instrumentalists, seems to have shelved relationships as an animating impulse for his songs. Instead, his focus is on the land, almost exclusively on the land, as inspired by what appears to have been an epic cross-country journey. All those influences remain not only intact but, on Places, more pronounced and affecting with the band’s lineup bolstered by Dave Vaughan (mandolin), Jim Donnelly (drums), Howard Dlugasch (keys) and Zach Hood (trumpet), familiar names all from Burke’s previous albums. Without diminishing these fine musicians’ contributions to JJB’s first two long players, their playing here is more than technically proficient–they are so locked into what Burke is going for as to achieve a truly sanctified sound, one inherently spiritual in affect and impact. Even in its most expansive, widescreen formulation–as we hear in the table setting “Forever and Day,” the opening song that states the mission at hand and flowers from a meditative introduction into a galloping charge into the great unknown, the band remains scintillatingly contained–tight, rustic, subtle, understated, concise, without a wasted or indulgent note. This is music of great forbearance, as if Burke is purposely withholding some portion of what is clearly a winning sonic hand, as his lyrics, meantime, ascend to a loftier, metaphysical plane. 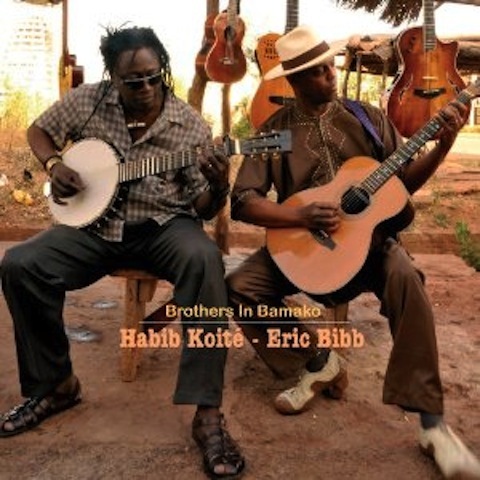 BROTHERS IN BAMAKO, Habib Koité & Eric Bibb (Stony Plain)– Trying to describe the transatlantic meeting of souls on Habib Habib Koité’s and Eric Bibb’s summit session titled Brothers in Bamako is a bit like trying to grab mercury. It’s easy enough to say this week’s Album of the Week is magical, soulful, moving, riveting, beautiful, transcendent. Its DNA is in the West African tradition of which Koité is something of an international ambassador but it’s also in the roots music Bibb–son of a musician father whose friends included Pete Seeger, Odetta and Paul Robeson (Bibb is Robeson’s godson)–was immersed in during his formative years in New York City, where he came of age just in time to experience the folk revival of the ‘50s and ‘60s in full flower. Born in Thiès, Senegal in1958 and now based in Mali, Koité is a modern-day griot, a repository of West African oral tradition and values as defined by the revered blues and architectural historian Paul Oliver (who wrote the first authoritative biography of Bessie Smith in 1959 and is a contemporary of Bibb’s father, Leon) in his 1970 book Savannah Syncopators: African Retentions in the Blues, who noted that the griot “has to know many traditional songs without error, he must also have the ability to extemporize on current events, chance incidents and the passing scene. 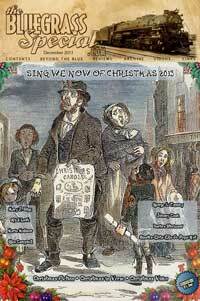 His wit can be devastating and his knowledge of local history formidable. Although they are popularly known as ‘praise singers,’ griots may also use their vocal expertise for gossip, satire, or political comment.” Seven years Koité’s senior, Bibb was immersed in Manhattan’s folk hotbed and has brought to his own music the griot’s ability to “extemporize on current events, chance incidents and the passing scene” while never forsaking either the enduring folk, blues and gospel fundamentals he learned in his youth or the necessity of speaking up and out about the passing scene, with powerful authority, devastating wit and a deep sense of history. So it is on Brothers in Bamako that these two gentle spirits make music on various stringed instruments (six-string banjos, seven-string guitars, eight-string ukulele, baritone guitar, acoustic nylon string guitar, electric guitar) with percussion help from Mamadou Koné and a haunting pedal steel guitar by Olli Haavisto on the duo’s hymn-like version of Dylan’s “Blowin’ in the Wind,” one of only two covers among the baker’s dozen tunes. 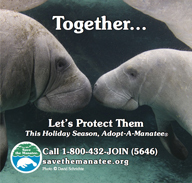 It could also be argued that theirs is more than music. Released a month after the Giving Tree Band’s provocative Vacilador (a previous Album of the Week honoree), a discourse in song on a society–a world–congratulating itself on its ability to connect via technology but seemingly incapable of sustaining personal relationships, Brothers in Bamako preaches fervently but gently for connection; it recognizes a fractured populace as an impotent populace, its divisive nature fomenting anger and intolerance instead of encouraging the embrace of each individual’s essential humanity. Eric Bibb and Habib Koité, ‘With My Maker I Am One,’ live at Harmonie in Bonn, Germany, November 11, 2012. From their album, Brothers in Bamako. To those who find these brothers’ vision too old-school idealistic in an era of deep partisan rifts and rampant incivility, ponder for a moment how bracing it is to be washed in their songs of hope and conciliation. There may be better albums than Brothers in Bamako coming in 2013, but those will have to be masterpieces to be more important than this one. 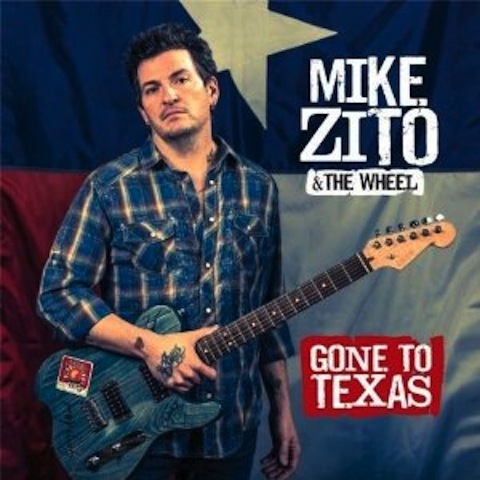 GONE TO TEXAS, Mike Zito (Ruf Records)– Few artists have battled demons as savage as Mike Zito’s once were and lived to tell the tale. 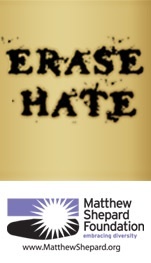 He’s never tried to hide what we went through–which was not so long ago, mind you–and how he crept to the edge of the abyss before the abyss looked back and jolted him into sobriety. On his intense new solo album, Gone to Texas, his first for Ruf Records (heretofore, for Ruf, he had produced the Girls with Guitars project (see the June 2011 issue of TheBluegrassSpecial.com) and Samantha Fish’s impressive debut (see the September 2011 issue of TheBluegrassSpecial.com), and according to his own liner notes had long been itching to be on the label as an artist himself. It’s hard to imagine him delivering anything stronger or more bluntly confessional than the galvanizing performances here. With this, Zito hits the trifecta: in 2011 he emerged triumphant on his third solo album, Greyhound (see the October 2011 issue of TheBluegrassSpecial.com), and last year he, Devon Allman, Cyril Neville, Yonrico Scott and Charlie Wooten banded together as the Royal Southern Brotherhood and introduced themselves with one of the best albums of 2012 (see Deep Roots, September 7, 2012). Good as those were, Gone to Texas’s manifold strengths elevate it to a higher plane of spiritual quest. Its close-to-the-bone feel; his band The Wheel’s empathetic support; Zito’s effortless command of the blues and blues-rock idioms he employs; the conviction in his rough-hewn vocals; the frank, unvarnished portrait he paints of himself in his weakest hours–when paranoia creeps in, death wishes abound and a general feeling of inertia if not outright uselessness takes hold of him are the components of a masterwork. It’s hard to imagine him delivering anything stronger or more bluntly confessional than the galvanizing performances here. With this, Zito hits the trifecta: in 2011 he emerged triumphant on his third solo album, Greyhound (see the October 2011 issue of TheBluegrassSpecial.com), and last year he, Devon Allman, Cyril Neville, Yonrico Scott and Charlie Wooten banded together as the Royal Southern Brotherhood and introduced themselves with one of the best albums of 2012 (see Deep Roots, September 7, 2012). Good as those were, Gone to Texas’s manifold strengths elevate it to a higher plane of spiritual quest. Its close-to-the-bone feel; his band The Wheel’s empathetic support; Zito’s effortless command of the blues and blues-rock idioms he employs; the conviction in his rough-hewn vocals; the frank, unvarnished portrait he paints of himself in his weakest hours–when paranoia creeps in, death wishes abound and a general feeling of inertia if not outright uselessness takes hold of him are the components of a masterwork. By its title alone you would suspect “If You Broke My Heart” would be a tearstained ballad, but instead Slim and company romp through it over the insistent pounding of producer Tom Hambridge’s drums and Slim’s wailing upper neck sorties—arguably his most dazzling, electrifying soloing on the disc—as our man admits to fearing his fate if his gal should take a powder, to wit: “Why does love feel like pain/nothing but obsession running through my brain/don’t want to feel/wanna be numb/couldn’t stand the pain/if you broke my heart.” Conversely, and most humorously, on the fiery, David Duncan-penned “Shape of Blues to Come”—a rich track enhanced by the soulful support of Reese Wynans on B3–a more seasoned narrator entertains no illusion of a happy-ever-after, growling, Soon as you said/you’d love me forever/a chill went up my spine/I’ve ben through forever before/same thing happens every time/blue skies to a nasty downpour/love gets dragged through the mud once more…I got a real bad feeling about the shape of blues to come. No kidding. On the thumping “When Whiskey Was My Friend” Slim’s turned to the bottle for comfort (“no one to talk to except this dog”) while awaiting his woman’s certain return—or as he sings, “long for my woman, she’s gone so long she’s coming back/I think she will/that’s what she told me/I’m waitin’ still…”—seemingly oblivious to the shape of his blues to come.